"Creating great experiences for these members are dreams come true." When Johnsonville’s marketing team presented the rough cuts of its new "Made the Johnsonville Way" advertising campaign to the Stayer family in 2016, Owner and Chairman Ralph Stayer shed a few tears. The ads weren’t emotional or laugh-out-loud humorous. Though since the campaign began - many consumers (including vegetarians!) - share sentiments that these may be the best commercials on the air. Jeff, enjoying breakfast sausage in the woods with his forest friends and Cole's 70's game show idea with the "boat load of sausage" have attracted many laughs, compliments and repeated views on our YouTube channel. Oh, and a few advertising awards too. 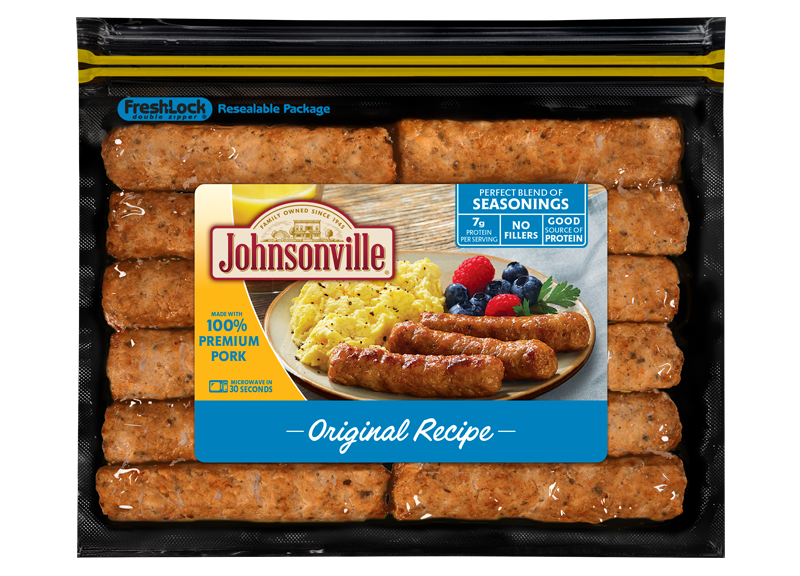 The new campaign, at its core, demonstrates how Johnsonville members (employees) are taking responsibility for telling the brand story. It may have been a new advertising move for Johnsonville, but it was not a new concept. The culture that Ralph established nearly 30 years ago – where members were empowered to make decisions such as hiring, stopping a production line, or recommending a new process to improve something – allowed this to happen. That’s the entire foundation of the company’s culture, referred to as The Johnsonville Way. The ad campaign began with an open call to Johnsonville members in early 2016. If they could make their own Johnsonville commercial, what would it be? More than 100 members were interviewed and three member commercial ideas were chosen to be made into the company’s new TV spots in 2016, and also brainstormed the brand's "Bratsgiving" holiday character and staffed a "Sausage Support Center." 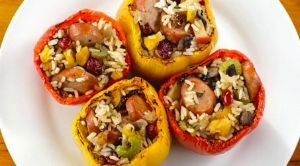 In 2017, more than a hundred members also provided a dozen-plus TV ad ideas, slogans for the company's new flame grilled chicken and other seasonal favorites. And, the internet's first-ever sausage reality show, with its Sausage Dome series. The first commercial in 2016, “Responsibilities,” introduces Johnsonville members and their role in making the dozens of Johnsonville sausage varieties. Longtime Johnsonville member Mike – who leads the shipping department – explains how members are responsible for everything. That’s what gets Ralph excited, seeing members take accountability and pride for their role in the company. When the marketing team showed Ralph the next round of commercials – featuring the Johnsonville member who came up with the creative idea and who appears in each spot – he felt a sense of pride. These are commercials “Made the Johnsonville Way.” All members ideas that were chosen were invited to join the production shoot with the marketing team and advertising agency and watch their commercial come to life. Brett, who works in Johnsonville’s facility that makes smoked and cooked sausages, loves cars. So his “Regular Speed Chase” commercial for Johnsonville Brats and Grillers begins with a school bus, ice cream truck, sports cars, grandmas on scooters and performance motorcycles, all chasing the company’s famous Big Taste Grill. “This was among the best experiences of my life,” he said after that 14-hour day. “Creating great experiences for these members are dreams come true,” said Ralph. “Jeff, Melissa, Brett, Cole and Todd work in Sheboygan Falls, Wisconsin, making our products and coaching their team members along the way. Then, they go to L.A. or Toronto and help make their commercial ideas come to life. There’s no better way to show The Johnsonville Way story,” said Ralph. He took his learnings and returned to lead the company a few years later. He informed his leadership team how things were going to be done differently and what their new roles were to be. Managers and directors were now coaches. “We should all see ourselves as a coach, and how we can develop one another to be the best we can be,” recalled Ralph. Now, 30+ years later and reflecting on his vision of “The Johnsonville Way,” Ralph said he had no clue to what extent this philosophy would take hold when he started making changes. “It was one step at a time. I did envision our members owning ‘the Johnsonville Way.’ And the more we grow, the harder it is, but I think being a privately owned company makes it easier to build a strong culture as we have here. Seeing our members take pride in the work they do and the product they make, and now have a voice in our advertising, tells me they know they’re making a difference. I’m so proud of them."